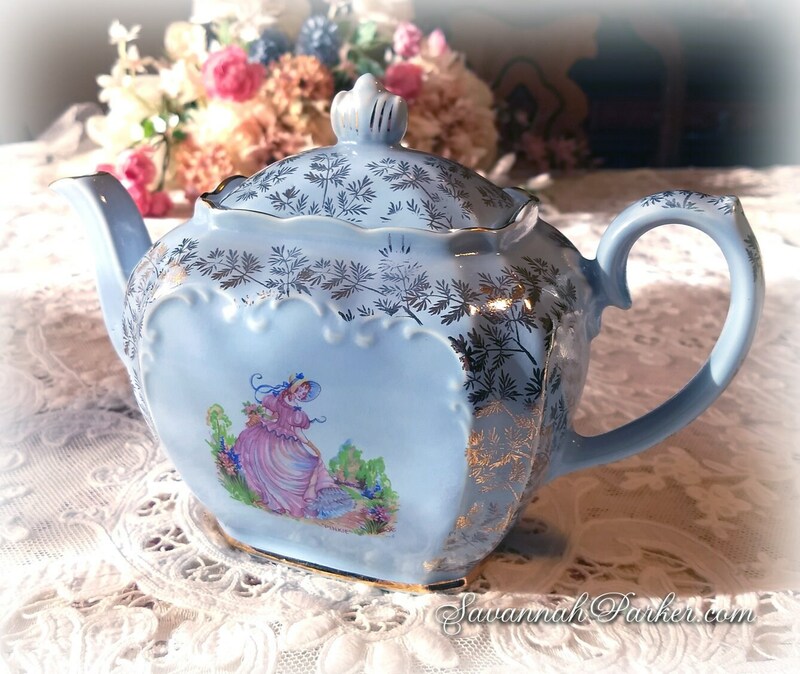 Absolutely exquisite 1930's Sadler "Pinkie" fullsize crinoline lady teapot in a SUPER RARE BLUE version with applied gold floral chintz overlay...... never-used, mint condition and the extremely desirable and sought-after CUBE shape. 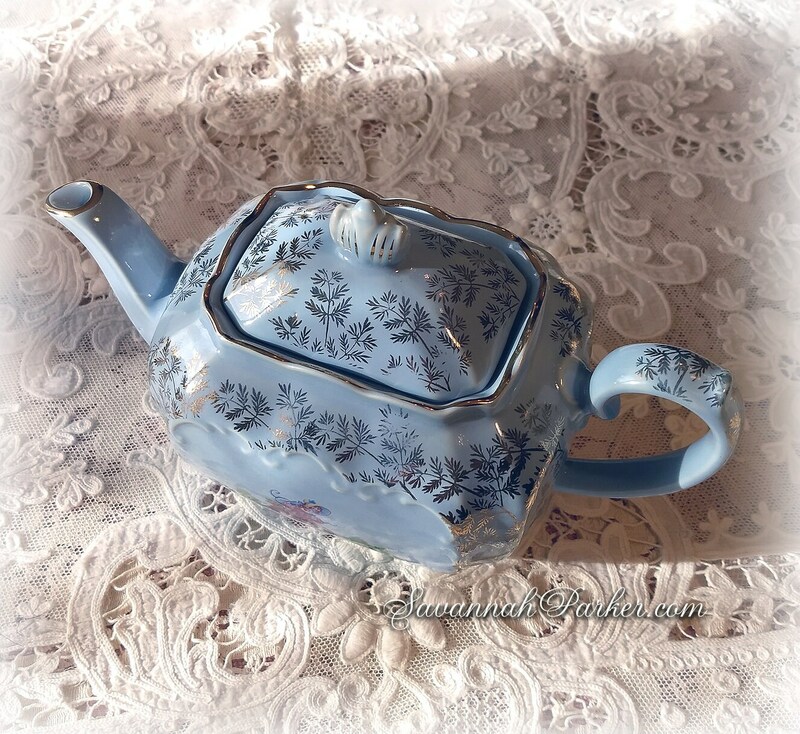 "Pinkie" is a popular vintage design on Sadler teapots but in many years of collecting this is the only one I've ever seen on a BLUE glazed background! 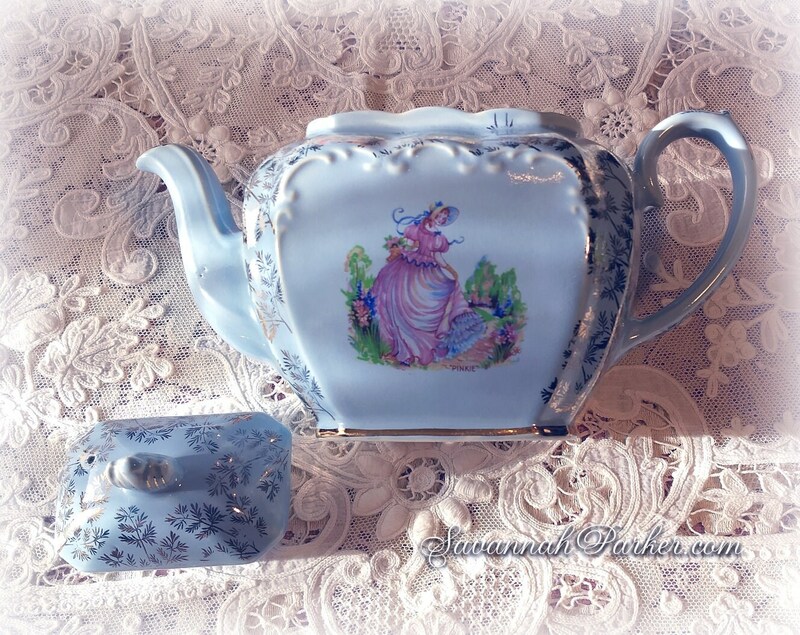 I've now opened my new "vintage china department" in my shop---do check my other listings for more gorgeous goodies! No chips, cracks, rubs, or crazing; unused condition. A few very tiny pin-pricks where the glaze didn't catch during the creation process, but these are NOT flaws, they are typical of Sadler teapots. 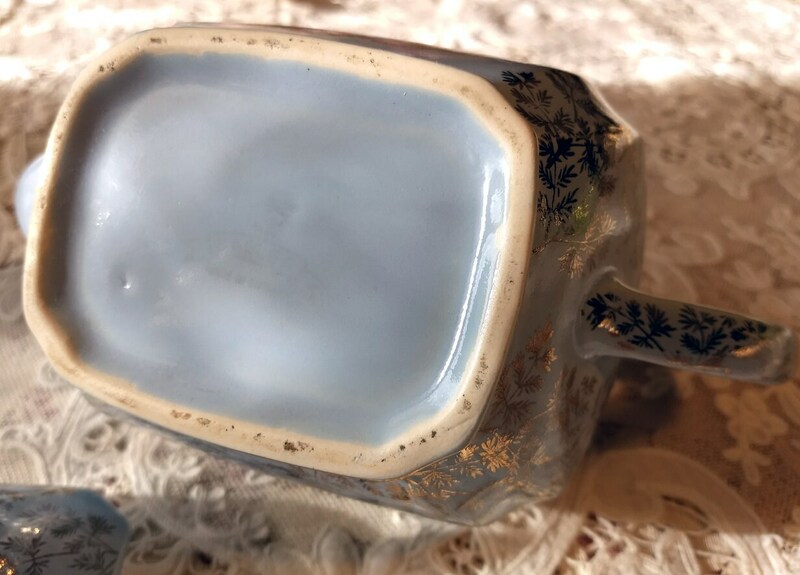 The blue glaze is a gorgeous, soft blue, not pale. 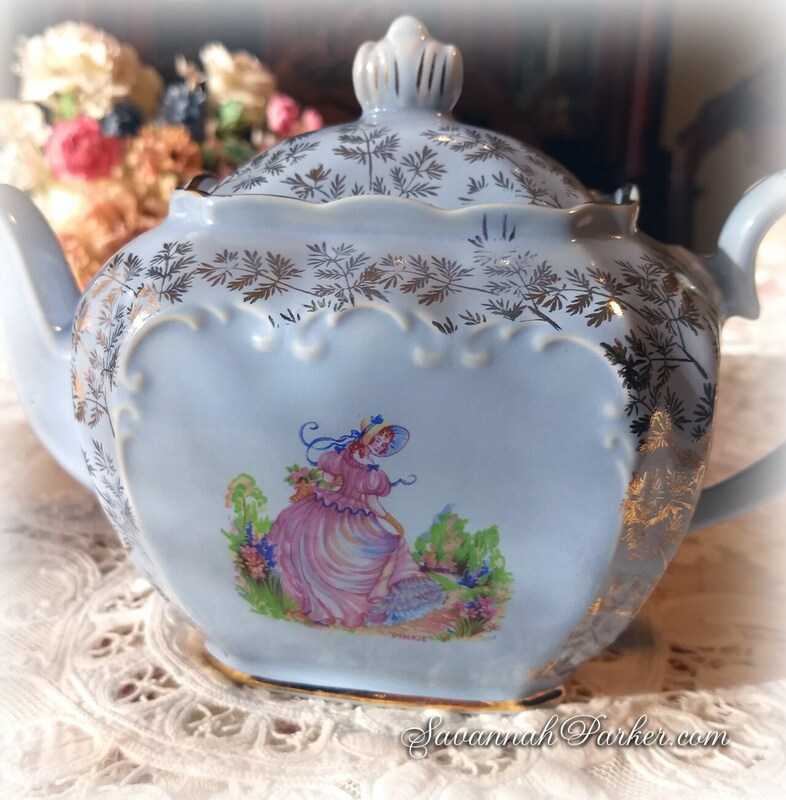 The "Pinkie" pink crinoline lady decoration on the front is clear, bright and well-detailed; gold chintz floral overlay decorations are all bright and shiny, no wear to the gold whatsoever. 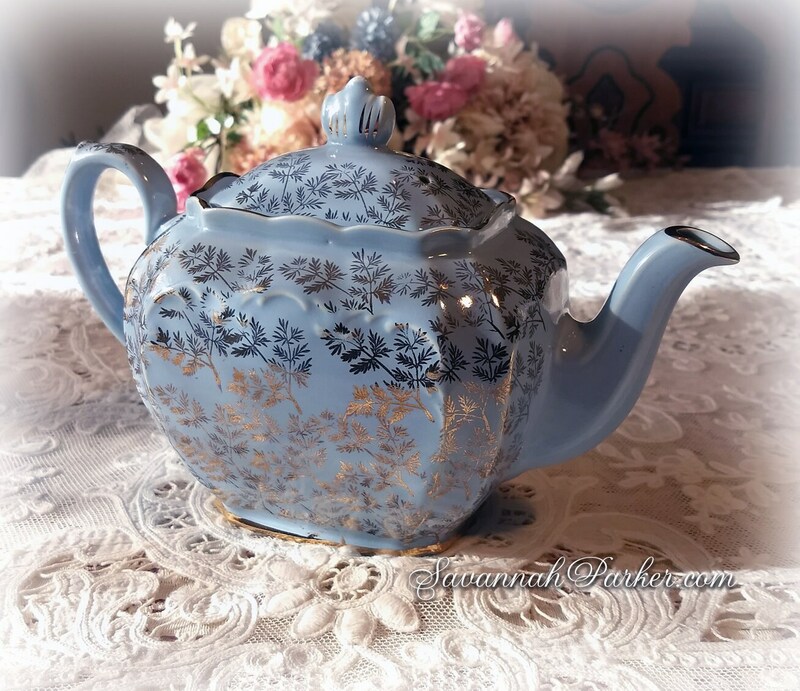 Teapot is marked on the bottom Sadler, Made in England---marking is faint but visible. 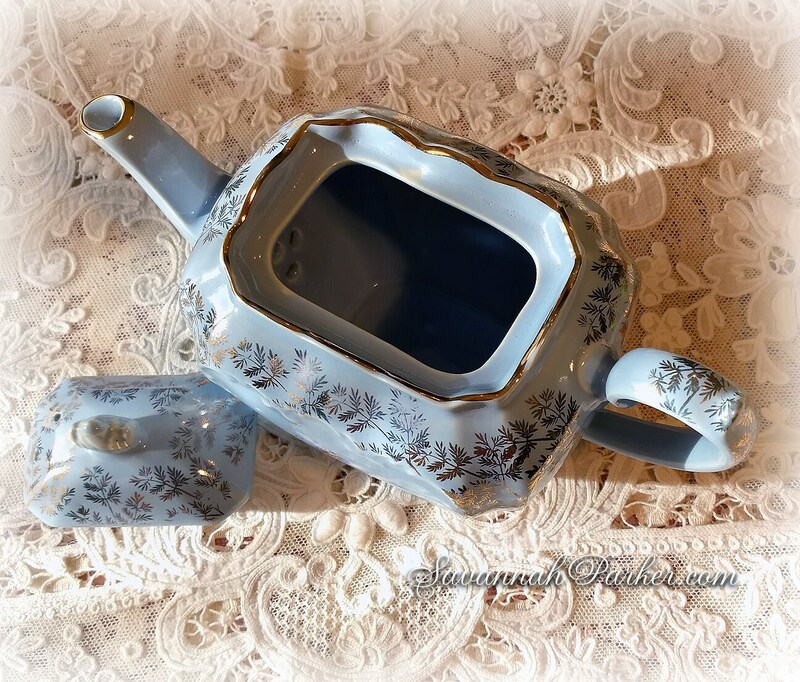 This beauty, as with all my pieces, will be exceptionally well wrapped and packaged in the best shipping materials and sturdy boxing---through years of purchasing fine china I know how important it is to package things carefully. Please note that if there is breakage caused in shipping, refunds WILL be given when buyer provides me with photographs of the damage immediately upon receipt of the damaged goods----not several days, or weeks, or months after receipt----since these are vintage items there will be no refunds for other reasons, as I take great care to describe items/issues meticulously and thoroughly; and because they are VINTAGE items with the inherent age qualities of vintage items, I do not guarantee or claim that they are new and as-flawless-as new. 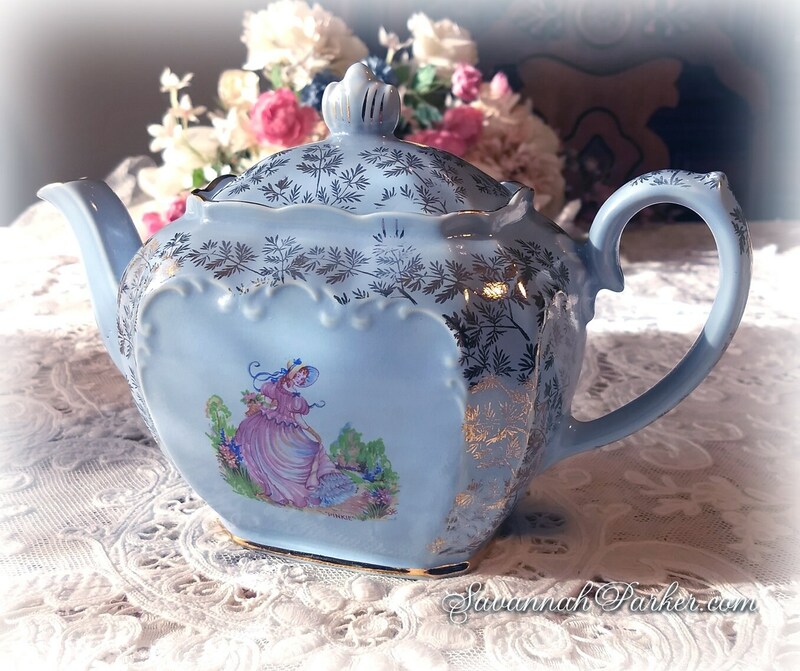 I make every effort to scrutinize each piece very carefully, and will always note any flaw or issue within the description. 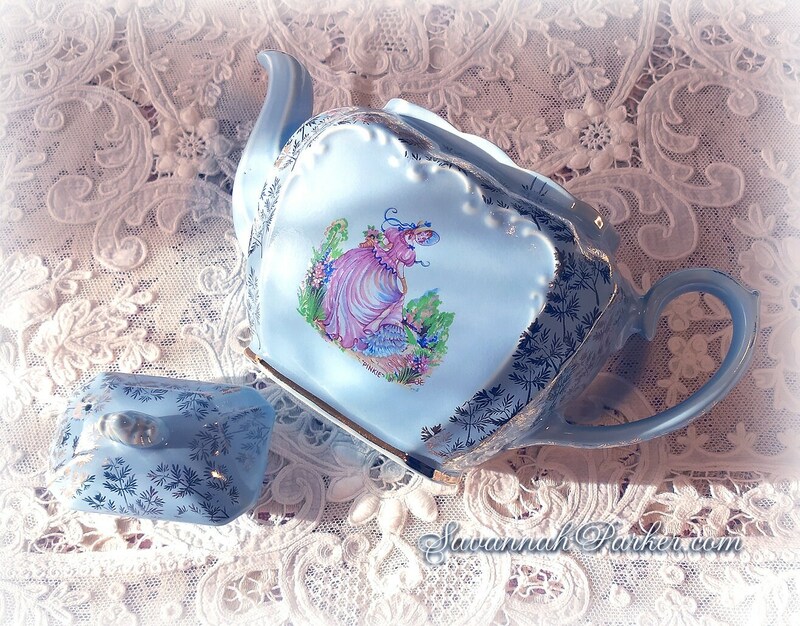 I've lovingly acquired and curated vintage china pieces for years now and have carefully searched for matching pieces in the same patterns as well as ones that harmonize beautifully with each other to create a charming ambience for a tea table, celebration, or just to display and enjoy.....vintage china sets such a wonderfully nostalgic mood as well as being delightful to collect... For the first time I am now sharing them in my shop along with my own handmade artworks and one of a kind designer original creations---stay tuned for many, many more exquisite pieces!